Working together, Blend and Breathe have increased traffic to company's website by more than 50,000 visits per month, increased lead generation by 12x, and grown free trials of their software by over 100%. Breathe is a leading UK developer of HR software for SMEs. 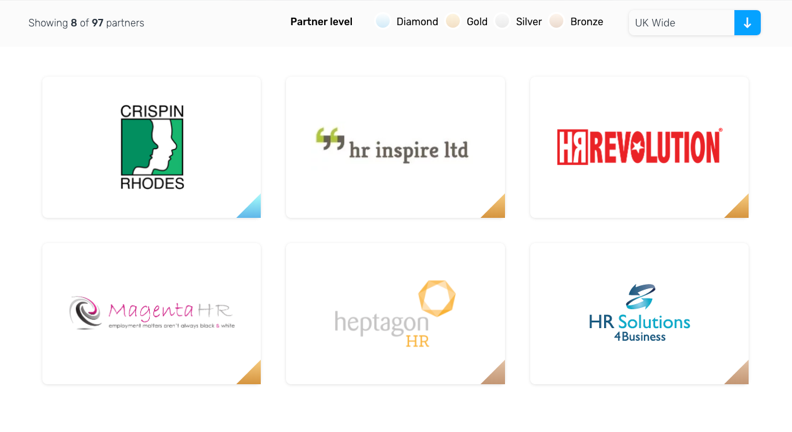 Their easy-to-use and feature-rich software helps thousands of UK businesses manage HR for over 120,000 employees. 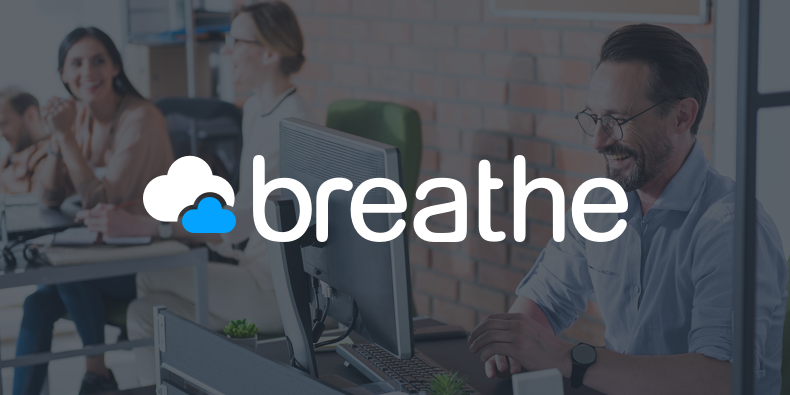 Holiday and sickness tracking, development, policies, expense management and more are all taken care of by Breathe's all-in-one, cloud-based package that businesses love for its simplicity and power. 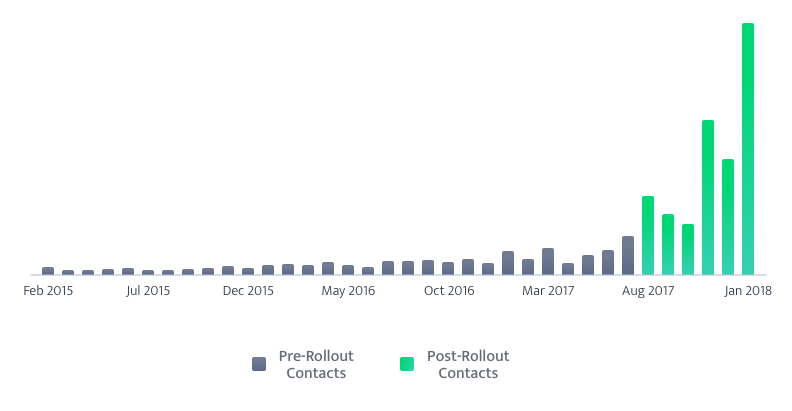 But Breathe had significantly outgrown their basic and dated WordPress website, and the number of people taking free trials each month had plateaued. Already users of HubSpot for content and email marketing, Breathe contacted Blend in 2017 to help take things to the next level. Breathe had three goals. One, update their entire online presence so that it stood out among competitors. Two, double down on HubSpot and drive greater ROI from its integrated tool set. And three, grow every metric from the top of the funnel to the bottom. 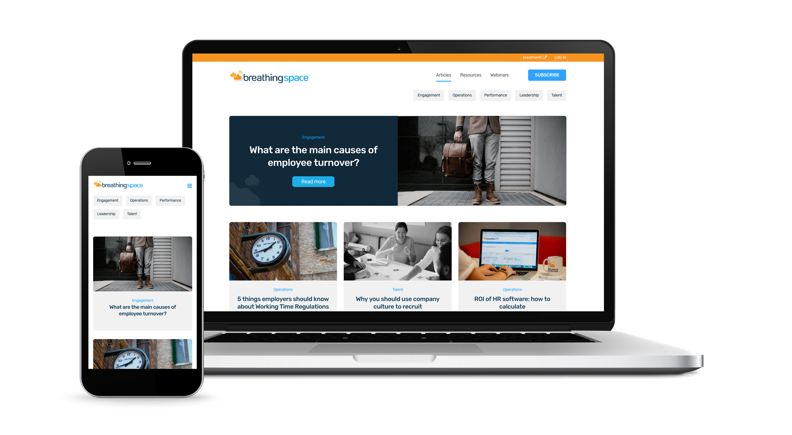 From our very first discussions is was clear that Breathe, who came armed with data, insight and passion, could have great success with our approach to conversion optimised websites and B2B inbound marketing. Breathe chose Blend as we met their desire to work with an agency partner who could combine inbound thinking with user experience-led design and deep HubSpot expertise. To achieve the business' goals, Breathe's director of marketing Rachel King asked Blend to first redesign, develop and launch Breathingspace, the brand's content hub, and then completely overhaul the marketing website, migrating it to HubSpot to take full advantage of the CMS' advanced features. Everybody at Breathe was very excited about the potential impact the new website would have and stakeholders wanted to see progress, and signs of success, as soon as possible. Blend proposed a phased approach to the website delivery which fit perfectly with this requirement and, working closely with Breathe, we created a schedule that was both feasible and ensured results were seen as early as possible. Breathe's internal content team creates a wealth of valuable articles and resources, but needed more effective blog and landing page designs for them to reach their full potential. Our designs, as always, focussed on readability and conversion optimisation. Knowing that visitors mainly discover content through search and social media, we removed the unnecessary clutter that decreases conversions and let the content shine, presenting it in a highly legible and engaging format for all devices. This paves the way for calls to action to drive more visitors to the many educational resources created by the Breathe team. The landing pages that previously held conversion offers were functional but uninspiring. Our new landing and thank you pages use bold colour, clear typography and a mobile-friendly single column layout to showcase content and encourage conversions. Taking inspiration from the vision laid out by King and her team, we worked to create a website that Breathe could be truly proud of without ever sacrificing our focus on user experience and conversion. With many different and compelling product features to offer, navigation had become a major challenge on Breathe's existing website, which had developed unwieldy dropdowns and unintuitive customer journeys. Before designing any pages, we sought to understand and optimise the structure and navigation to ensure logical and effective travel for website visitors. Once structure and navigation were agreed we set to work designing and developing the 30-plus pages needed. In order to minimise the time to ROI, high-impact pages, like the pricing page and homepage, were created and launched first. We had migrated the entire site from WordPress beforehand to enable this to take place without any loss of content, SEO or traffic. One of the more challenging, and exciting, areas of the site was the partner directory. With nearly 250 active partners to feature, Breathe and Blend wanted to create an intuitive and interactive tool that would help businesses find the right partner for their needs. We utilised the HubDB to develop a dynamic and filterable directory that is also far easier for Breathe's partner team to maintain. On the front-end, users can quickly and easily filter the directory by region or by partner tier. In the backend, the partner team have access to a HubDB table that allows them to very easily update information for existing partners, including changing tier or adjusting regions, and to add or remove partners as required. HubDB helps the partner team to ensure that the directory is always up-to-date and as valuable as possible. The redesigned website and content hub, combined with the continued production of high quality content, had exactly the desired impact. Within a few months of launching, website traffic, lead generation and the number of free trials had all reached astonishing all-time highs. 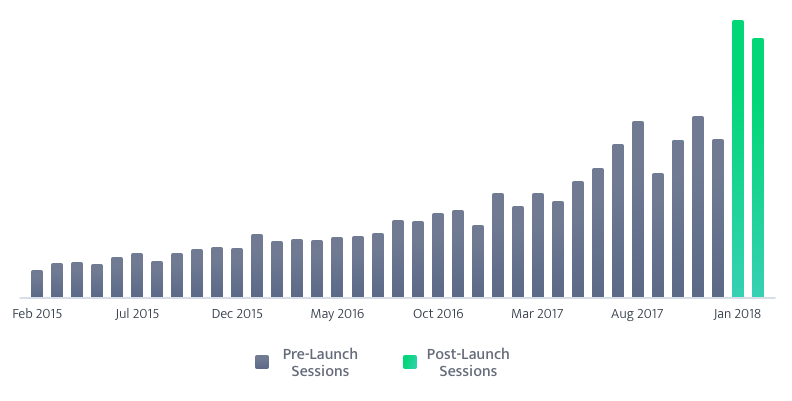 Five months after launch of the new content hub and following the launch of key redesigned pages, website traffic had grown by more than 100% compared to pre-launch figures. Prior to the redesign of the content hub, the level of lead generation was low given the quality and quantity of content that the in-house team had produced. Following the launch of the redesigned breathingspace hub, with its conversion optimised blog and landing pages, lead generation grew dramatically, quickly hitting a new all-time high 12x over historic levels. Crucially for a SaaS marketing strategy, the same result was also seen at the bottom of the funnel. New free trials broke out of their plateau and reached new heights over 100% above average historic levels. Having achieved such impressive results so far, Breathe and Blend are now working together to continuously improve all aspects of its inbound marketing performance, utilisation of HubSpot, and the generation of leads, opportunities and customers. Work in the pipeline includes new lead gen calculators and content, overhauling nurturing and onboarding workflows, further improvements and additions to partner marketing content, continual evolution of the website, and much more.